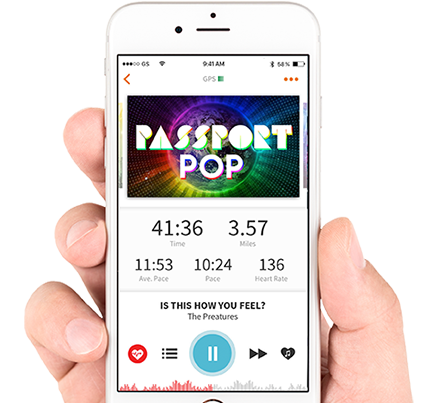 Music that matches your pace is proven to help you perform better and enjoy your workouts more. 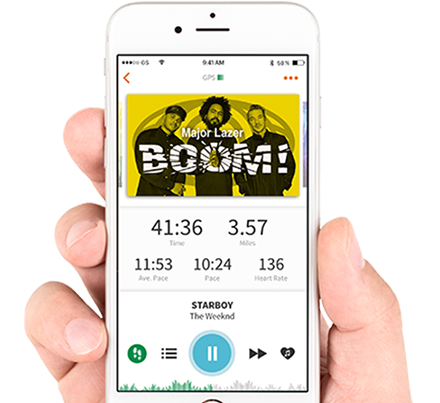 Using data from the accelerometer in your smartphone, RockMyRun knows your steps per minute, and we'll continually adjust the mix tempo so that you can hit your stride. Connect your favorite Bluetooth Heart Rate Monitor to RockMyRun and experience music that follows the beat of your heart! Perfect for cycling, resistance training and all of your favorite machines at the gym!